Aftermarket everything! Motor is .040 over extremely powerful. Stretched swing arm 3". Front end is 2+. The suspension is pep and adjustable in every way. 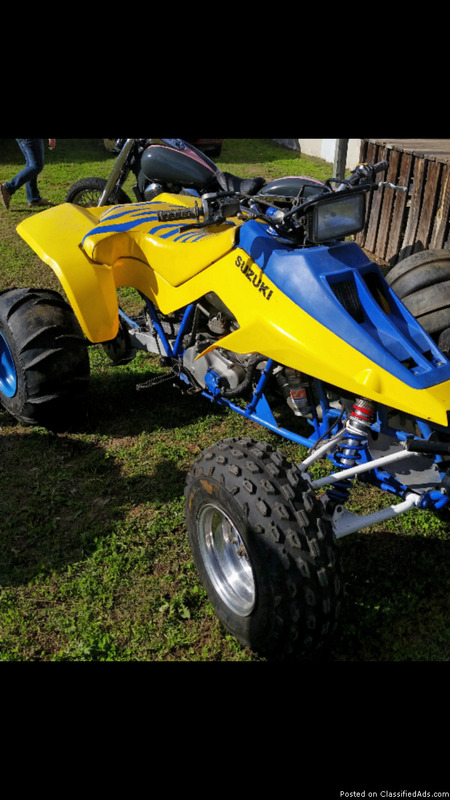 1988 Suzuki LT 500 Quad Racer "Quadzilla"
Low hours, jetted for altitude, carbon fiber handlebars, runs and rides like new. YOU HAVE GOT TO SEE THIS TO BELIEVE IT!!! CLEAN! This quad is owned by a private party. 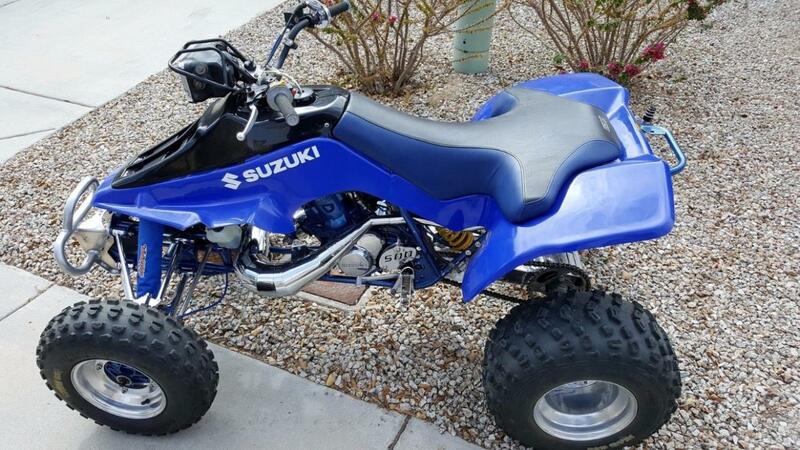 1990 Suzuki LT 500 Quad Racer "QUADZILLA"
1988 SUZUKI LT500, SUPER CLEAN QUAD WITH WAY TO MANT EXTRAS TO LIST. NOT YOUR AVERAGE QUADZILLA!!!! 1988 Suzuki LT500R, Quadzilla, custom built. - Powder coated: Armadillo front bumper, PRM guards, PRM skid plates, all frame components. 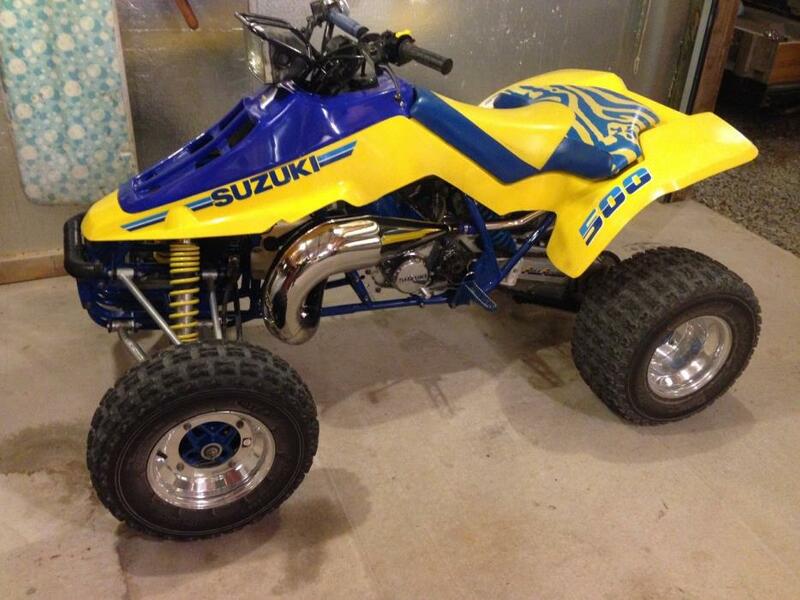 YOU ARE BIDDING SUZUKI LT500R QUADZILLA THAT IS PRETTY IN EXCELLENT CONDITION. 1988 LT500R in excellent condition.One of the nicest ones you'll find. Only .5mm over stock bore. Wiseco piston,billet thrust washers,cases bushed by Tudors performance,new oem crank,all seals and bearings replaced,new shift drum detent and spring,shifts perfect,Barnett clutch,DR Q pipe and silencer,Holeshot tires on Douglas rims,Pingel fuel valve,Works rear shock. 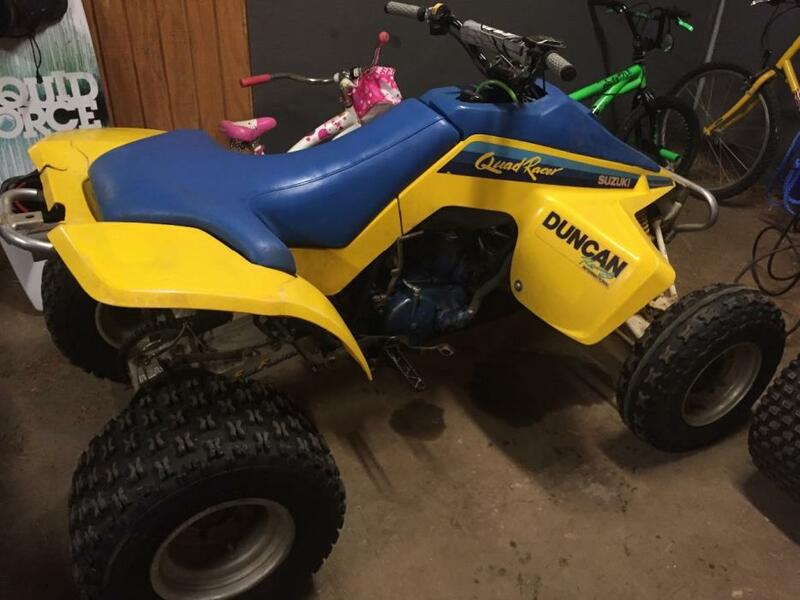 Comes with new sand tires on oem rims,extra seat and DG grab bar. This is a very nice Quadzilla. Thanks for looking.